minxeats - recipes, recaps, and restaurant reviews: Top Chef Masters Tonight! 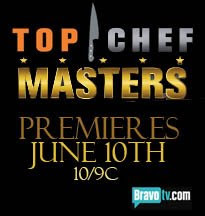 Top Chef Masters airs tonight. For full coverage on all of Bravo's Top Chef programming, visit All Top Chef. Ok, after last night I have a crush on Hubert Keller.